Join us on Friday, March 1 from 5pm to 9pm for First Friday in the heart of Carbondale’s Creative District! March’s First Friday theme will revolve around the Carbondale Creative District. 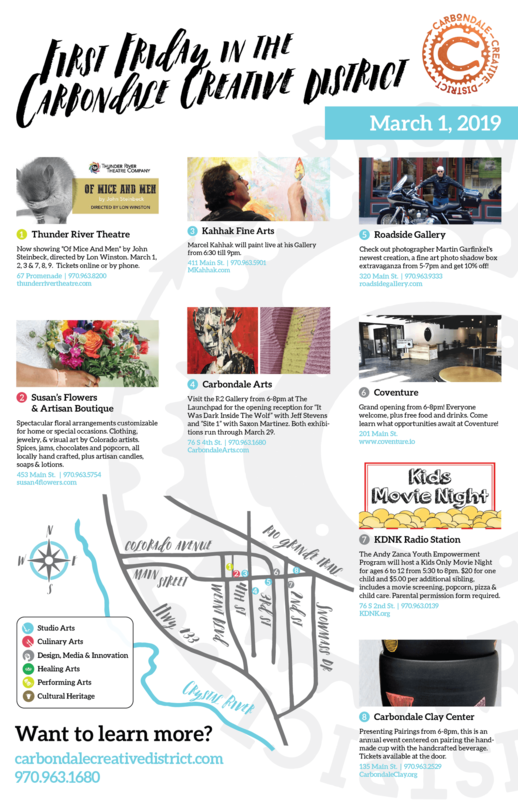 Enjoy a wide range of local arts, galleries, and shopping, savor our award-winning restaurants, and raise your spirits with music and live entertainment. First Fridays in Carbondale celebrates the authentic pleasures in life, in our unique mountain community. Be our guest!